This page contains apps that will turn any photograph into masterpieces. But don't limit them to use on photographs - student artwork can be transformed into new works of art. There are countless numbers of photo manipulation apps - Here are ones great for use in the Art Room. These first two are great for general photo editing. This free app has the basic photo editing software. And the price is right! Photo Pal is a powerful and very easy to use app for basic photo editing and some great effects. It is an affordable app at $1.99. The filter added to the image below created an interesting artistic effect. This app is one of my new favorites! It turns your photos or artwork into beautiful works. It has a number of settings including a stamp and dollar bill setting. At $.99 it's a must have! Filter Mania offers many great filters for transforming photos and artwork for Free! The image below is a photo I took of one of my sons. He was thrilled with the filter addition I chose for him. This app is a very fun one to use. Begin with a photo or an image of an artwork and allow the app to transform your work into something quite exciting. One art teacher has noted a similarity to the artwork of Peter Max. So - Peter Maxify your work! 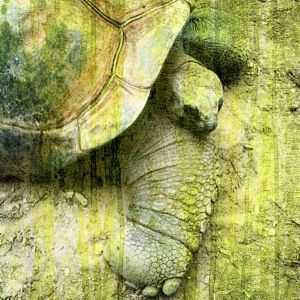 Below is a couple of different examples of using PhotoTropedelic on an artwork. In the first set of images the one on the left is a melted crayon painting. The one on the right is the painting transformed by the app. Students love using this app on their pictures. The second set of images are of a student's example. 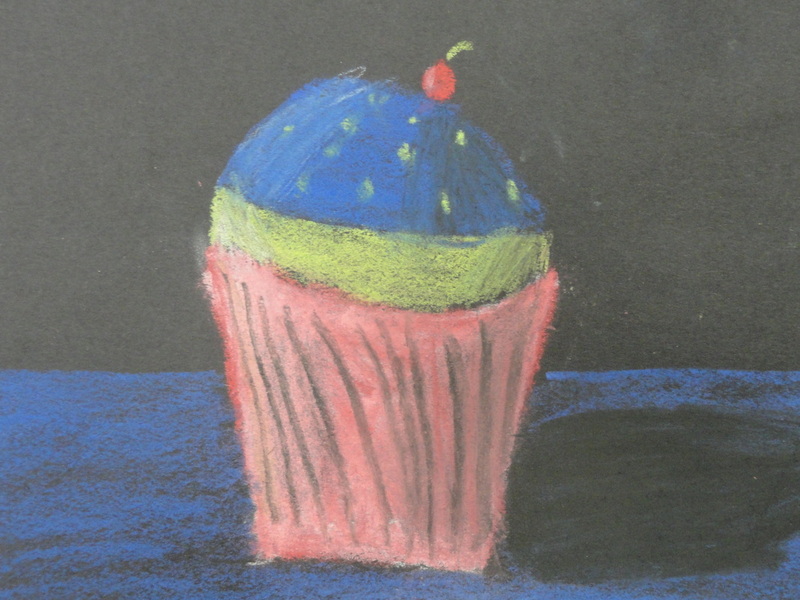 The left is a chalk pastel drawing and the right is how the student transformed their artwork using PhotoTropedelic. 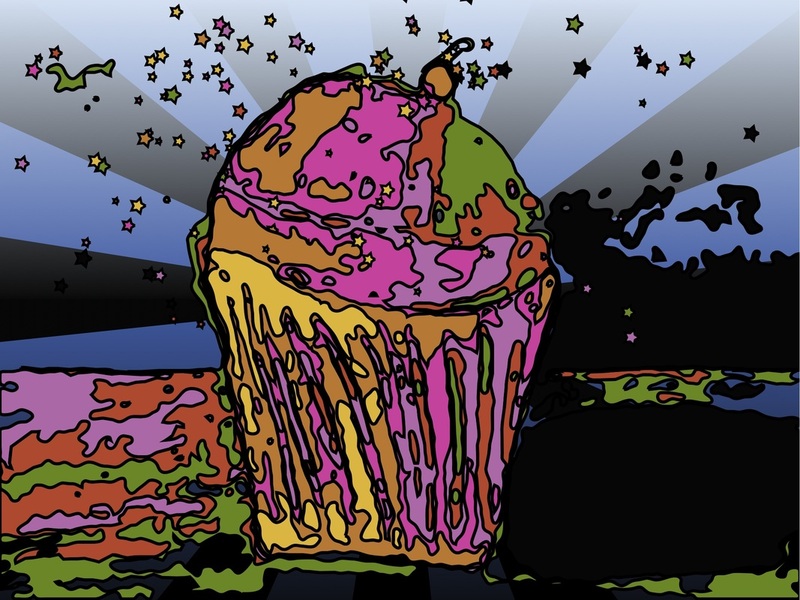 Click on the transformed cupcake to see more student works! 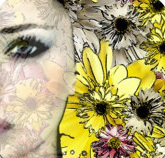 Grungetastic is a great app for creating grunge, distorted, or distressed images. The iPhone version is $.99 and the HD iPad version is $1.99. Below is a 3rd grade student's paper and marker design that has been distressed using Grungetastic. This app contains several back photos and filters that will transform student photographs and artwork to new heights! At $1.99 it is well worth it! 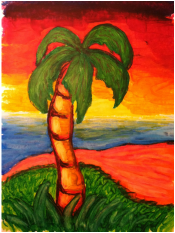 Check out an example of this app used in an elementary art classroom! Percolator is another great app to apply changes to a photo or artwork image. Below is two examples of student artwork that has been "percolated". Check out these Artsonia exhibits for more examples of student artwork transformed by Percolator. 1st Grade "Percolated" Penguins by my students. 1st Grade "Percolated" Trees by Suzanne Tiedemann's students in South Brunswick, New Jersey. This free Lite version has many great filters. 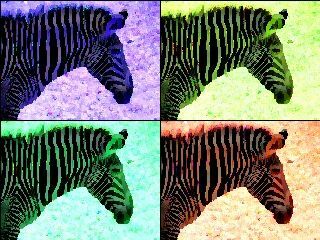 Below is a Warhol like filter applied to a photo.